It's not just the Tea Party, and it's not just military leaders that Barack Obama seems to be purging these days. The latest, in a growing line of conservatives under fire and under attack may be the filmmaker who created the successful film, "2016". Dinesh D’Souza, has been indicted for Federal crimes. The film took a critical look at Barack Obama. From a Reuters report: "Dinesh D'Souza, a conservative commentator and best-selling author, has been indicted by a federal grand jury for arranging excessive campaign contributions to a candidate for the U.S. Senate. According to an indictment made public on Thursday in federal court in Manhattan, D'Souza around August 2012 reimbursed people who he had directed to contribute $20,000 to the candidate's campaign. The candidate was not named in the indictment." Former Virginia Republican Governor Bob McConnell and his wife were also indicted on Federal charges this week. According to a Washington Post report, "Authorities allege that for nearly two years, the McDonnells repeatedly asked executive Jonnie R. Williams Sr. for loans and gifts of money, clothes, golf fees and equipment, trips, and private plane rides. The gifts and loans totaled at least $165,000." Maybe both of these indictments are legitimate. But connecting all of the dots that surround Obama and what I can only call his "tyrannical ways", destroying the opposition fits the "tyrant" job description. Am I reading too much into this, or just listening to way too much Alex Jones? In what may be a coordinated attack by Progressives against conservatives, Fox News reported yesterday that, "Conservative activist James O'Keefe is accusing New York Gov. Andrew Cuomo's administration of targeting his group with document requests and a subpoena, claiming the Democratic governor's recent comments critical of conservatives "aren't simply words." 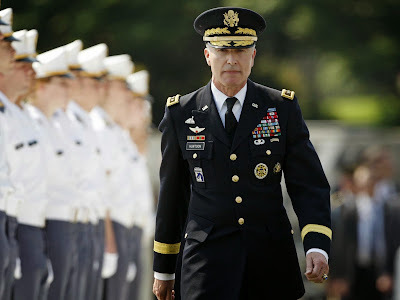 It has been widely reported that some 200 military leaders have been purged from the military during Obama's tenure thus far. The IRS under Obama and one of his henchmen, Attorney General Holder have targeted not just the Tea Party, and not just Hollywood Conservatives in this Fox article: "IRS scrutiny went beyond Tea Party, targeting of conservative groups broader than thought"
The Washington Post also reported that Fox news reporter James Rosen was spied on extensively while "collecting his telephone records, tracking his movements in and out of the State Department and seizing two days of Rosen’s personal emails"
More than a few believe that reporters such as Andrew Breitbart and Michael Hastings, died suspicious deaths, especially when considering stories they were both working on regarding Obama when they suddenly died. I am still trying to figure out how Breitbart, a 43 year old man in the prime of his life suddenly drops dead, then reportedly the coroner working on his body drops dead of poisoning, of all things, before Breitbart's autopsy information is released, and then Breitbart's death is labeled, "natural causes". Michael Hastings car "accident", is no less curious, and perhaps more so when we consider the email he sent to co-workers just hours before his death. We should also wonder if people like Obama's "close friend" and fundraiser, billionaire Penney Pritzker who Obama selected as his Secretary of Commerce last year did not at first, include $80 million in financial disclosures, get the same scrutiny as say, the Tea Party? Fired By Obama Lt. Gen. David Holmes Huntoon Jr.
Much more is happening that lends credence to the idea that America really is in the midst of a purge and a coup, a massive takeover of the United States. It has been ongoing since Obama said that he would "fundamentally transform the United States of America". Isn't it time that we started connecting the dots when it comes to Obama...and Congress...and the mainstream media...and the shadow government... who allow his reign of terror? In five years, Obama has made virtually everything in this nation that was already bad, even worse. The economy is much worse. 90 plus million Americans are not working. The middle class is shrinking (which was the plan all along of course) as more and more people slip through the proverbial cracks and become poor. Twenty percent of all Americans now receive food stamps, (that is one five American families for those of us who had to endure government education)! The dividing of the American people by race and economic status has gotten much worse, inflamed by Obama's political rhetoric and blame games. Not only does he blame the rich, the Republicans and George Bush for all of America's ills, now he is blaming his skin color (which is both black AND white by the way) for his tanking poll numbers, effectively using the race cards against America. Our disunity as Americans, along with the political correctness of our day ( I just found out yesterday that if you use the word "thug" you are now a racist) is literally destroying us. Our freedoms have been not ebbing away, but literally being ripped away each day as Obama shreds the constitution, and the Congress sits idly by...and are becoming richer while they do little. We are a now a nation constantly at war and less and less of it is about terrorism but about regime change (we have also performed secret military operation now in 134 nations around the globe), yet our borders here at home remain strangely open allowing Muslim terrorists (and Chinese nationals) to cross our borders every day. China is buying up American land and resources even while Russia is allowed to bring their troops on our soil to "learn American military tactics". The list goes on and on, but you get the point, none of this happens by accident. None of this happens without a traitorous and tyrannical government in place. Just connect the dots. And then DO something about it. If each of us do a little, it will add up to a lot. There is no time, and I mean no time to delay.